The past 10 months ushered in many changes - including the arrival of our new baby, Pilar and the opening of our restaurant, Stationæry. This new palette reflects moodier influences and deeper hues found while taking great risks and embracing change. While I’m so excited to release these new colors in our Signature Envelope, I also want to pull back the curtain a bit and give you a peek into the real, honest lead-up behind this. When I created the Essentialist Collection, I envisioned releasing new colors each year, a capsule collection in the Fall, and having a nice steady stream of business as I transitioned into motherhood and grew our family. While the later part remains true, releasing new colors and “freshening” up the Collection annually seemed an impossibility. As early 2018 rolled around and it came time to unveil new colors and jump into sales mode for a whole new production - I was unable to do it. Partially because I just found out I was pregnant again and Pilar was depleting my energy. We also made the decision to have our family resources pour into the new project of our restaurant, Stationæry. 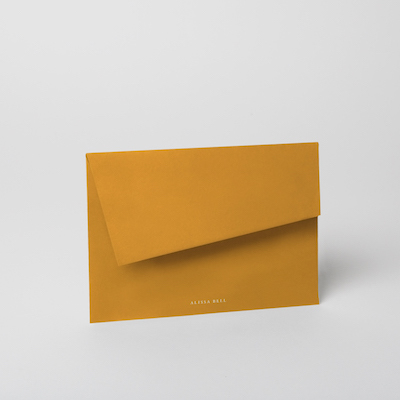 And while I’m still not quite ready to produce all of our offerings in these new colors - I am releasing a limited quantity of the palette in our Signature Envelope stationery. I’m focusing on what I AM able to accomplish, rather than beat myself up about what I’m not able to complete. So here they are! The timing isn’t perfect or gracefully coordinated. They are a reflection of my year and I look forward to sharing the stories and personality behind each hue - saddle, lilac, turmeric, and emerald. The colors are available in our online shop and at Stationæry . We've officially hit the middle of the year at June 1. I'm so pleased to finally share what Anthony and I have been up to during the first part of 2018. We are opening a restaurant and retail shop in Carmel, CA called Stationæry. At the end of 2017 we left Los Angeles and moved back home for many reasons, personal and professional. Opening a restaurant was always a hope, but in making the decision to move we weren't exactly sure how it all would unfold. While the doors in LA were clearly closing, so many doors opened here at home and are continuing to open. It is amazing how quickly everything has come together to make this possible. I honestly couldn't have dreamt up the life I'm now living! It's better and also more challenging (in the best ways) than I would have imagined. Before leaving LA we received impactful encouragement and affirmation from friends. I actually even have some of the messages recorded as voice memos that I save to listen to on days when I need to hear it (thanks, Trace). Their influence and words sit with us daily as we create Stationæry. The idea for the name, Stationæry, was sparked by a conversation with our friend, Raan Parton. He told me we should open a place called Stationery and put the letterpress inside for patrons to watch in action! While the health department probably wouldn't want production happening so close to an eating establishment - the idea really influenced us. Stationery has two meanings and two ways to spell it: stationery and stationary. In fact, I learned this lesson very early on while starting Alissa Bell Press. I attended my first and only bridal expo in January 2012 to introduce my style to the fine brides of Monterey, CA. I had a huge sign printed with my business logo and a listing of services including: STATIONARY. Before the show even opened I was told by a lady that I had it all wrong - and I was mortified. I've never confused the two again. Stationary with an "A" means unmoving, present, and constant. Stationery with an "E" is writing paper, especially with matching envelopes (obviously). We decided to capture the two meanings with the "Æ" (ash), creating Stationæry. These two definitions practically and emotionally describe what Anthony and I both do and create in our professional lives. In hospitality, whether as a barista, general manager, server, or bar tender, Anthony has been a constant presence in people's lives. The simple act of making their coffee each morning or serving them a beautiful meal allows him to show up for people in a consistent way - during the good, the regular, and sometimes less exciting times. I could go on and on about the ways Anthony serves and creates special moments for people each day - but really I just want you all to know this is a life long dream in the making. As for me, I'm a stationer. (I love that title.) 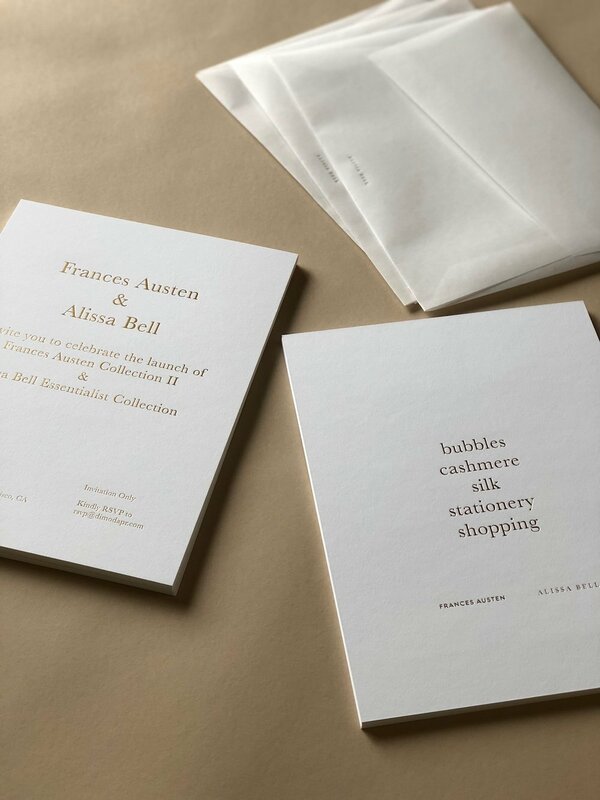 I design and print paper goods for people's important moments. With this restaurant and shop, I'm being given the opportunity to reach more people during both regular daily routines and special occasions. My role involves designing a beautiful space for our guests to relax and delight in. I'm working with Sara Karkenny to bring the vision to life! I will also be curating our retail shop with objects designed and created by businesses and people we admire. on San Carlos, between 5th & 6th Ave.
**white building, green trim, super cute square. Thanks for reading about our newest adventure. I'll be checking in occassionaly with updates!